Properties in Zestoa average 4.6 out of 5 stars. Property 29: BEAUTIFUL LOFT ONE STEP FROM THE BEACH - ESS00290. Property 38: Relax a few days by the sea and Restaurant Argiñano. 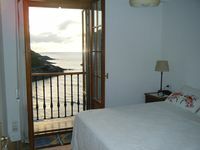 Property 44: Superb Apartment in Farmhouse on Basque Coast: Gastronomy, Mountains, Surf ..